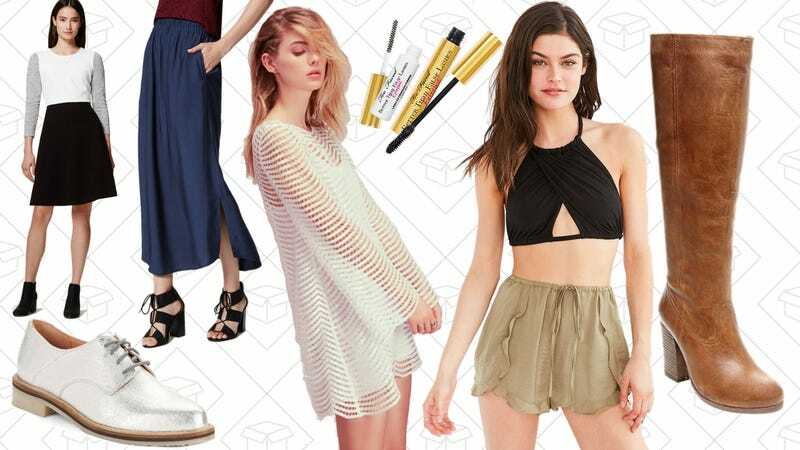 Up to 80% off shoes and handbags at Lord & Taylor, 50% off Free People bridal, 40% off everything at LOFT, more 21 Days of Beauty deals, $10 Urban Outfitters bralettes, and more lead Thursday’s best lifestyle deals. iPhone 7 cases, Madden 17, and more copper string lights lead off Thursday’s best deals. Affordable bralettes that don’t fall apart into lace-shaped dust are hard to come by. But with Urban Outfitters intimates sale, you can grab some really pretty underthings for under $10. Seriously, all three of the ones above are each $10. Ulta’s 21 Days of Beauty is a really fantastic time of year for those beauty lovers that don’t want to spend tons on new, great products. Usually, sales at Ulta are older products or drugstore brands, but with 21 Days of Beauty, you can get up to 50% off on names like Smashbox, Stila, Benefit, Lipstick Queen and more. The deals switch up every day, so you’ll need to jump on them if they catch your eye. Today’s deals are Too Faced Better Than False Lashes Extreme! mascara and Juice Beauty skin kits. 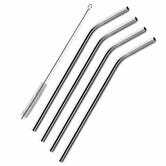 For just $4 today, you can sip your drinks in style with a four pack stainless steel drinking straws. I own this exact set, and use them for everything from Coke Zero to Moscow Mules. And don’t worry, they come with a little tube cleaner to help you wash them. This is the best price we’ve ever seen on an item like this. 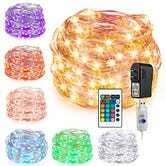 String lights are so hot right now (but not literally, because they’re LED), and you can choose from two different strands today starting at $9. 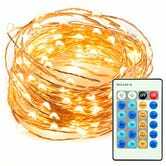 The cheaper model from Kohree is your basic 40' copper light strand, while the $14 TaoTronics model is slightly shorter, but includes a remote and 10 different dimming levels. Even if you’re not a bohemian bride, 50% off these incredible white dresses and gowns is quite a steal. Some are definitely a little more wedding appropriate than anything else, but there are jumpsuits, short dresses, and cutout midi dresses. Once again, LOFT is here to make your wardrobe better. Get 40% off everything (including New Arrivals) when you use the code FIRSTLOOK to celebrate their newest fall clothing. It’s a LOFT year, if I do say so myself. You can’t preorder the iPhone 7 until the wee hours of tomorrow morning, but you can order a case right now. Head over to this post to see all of the $4 options from Caseology. Athleisure is still huge this fall, and you can get in on the trend for less if you head over to Finish Line. Not only are they having their huge End of Season sale, but there’s an extra 30% off clearance styles. Grab huge savings on everything from fashionable sneakers to Stella McCartney’s Adidas collab. Fall is just around the corner, and GAP knows it. Use the code CORNER and get 25% off both men’s and women’s styles (including new arrivals). GAP is full of fall staples like sweaters, blouses, and jackets that are even more affordable with the mark down. The heat is finally breaking, and if you were looking for an excuse to get outside, Backcountry’s sale on Mountain Hardwear is it. Grab up to 40% off on all Mountain Hardwear gear, from waterproof duffels to their Ghost Whisperer down jackets. If there’s anything outdoors-y that you needed to buy, now’s your chance to get great quality for a great price. With 40% off select styles from Nordstrom, you can stock up on fall staples way before the temperature drops. Everything you need, from boots to sweaters, are marked down. It may say it’s a Summer Clearance but that doesn’t mean it’s full of last season’s leftovers. Whether you wear TOMS for the ease of never having to tie your shoes or just dig the style, this is one deal you should take advantage of. They’re having their Surprise Sale, with up to 80% off select styles. Plus, they’ve come a long way from just simple, canvas slip-ons. Now you have a real reason to throw out your old, gross ones. Boat shoes and loafers and moccasins, oh my! (Sorry) Sperry is marking down all their sale styles an extra 30% off when you use the code SUMMERSAILS. Best get on that now, because it ends on September 5th, which means those Top Siders won’t be around forever.